We had a busy morning preparing for our parents afternoon. 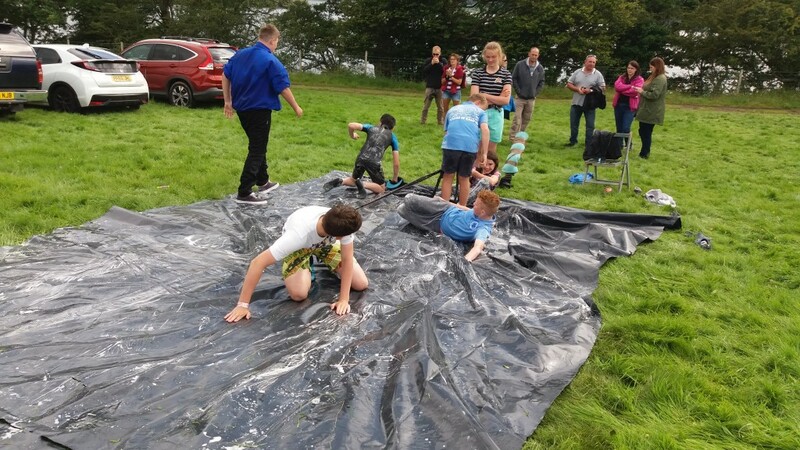 For those who didn’t make it up this afternoon, we had a slip and slide, bucking bronco, jousting horse, archery, shooting, swingball, assault course, s’mores, sailing, canoeing and a raft! 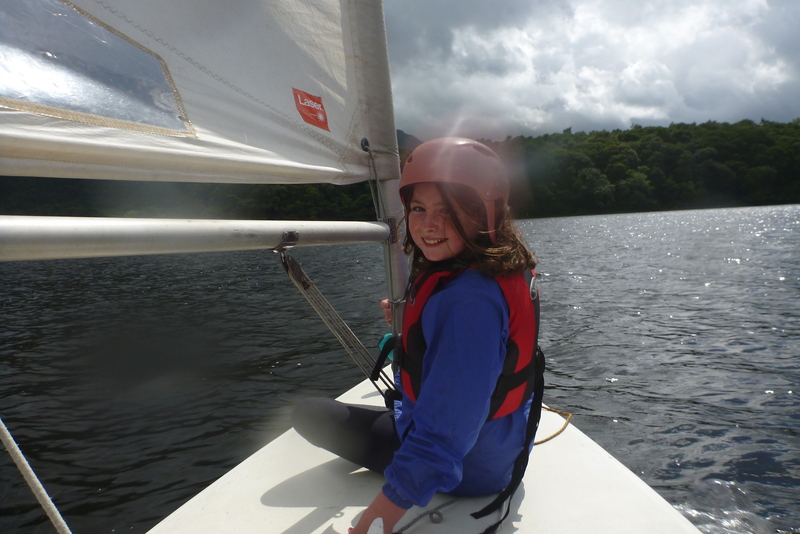 It was a fantastic afternoon and the weather, although hit and miss, held out of us and we had a fantastic afternoon! Thankyou to all of those who managed to get to us, and all the help given! It made it so much easier and we had a fantastic day. What a great 50th anniversary celebration! We finished off our day with a massive BBQ and cake, then a nice walk around the lake to burn it all off. The weather up here has been really hit and miss, with some really heavy showers in stints, followed by some fantastic sunshine! Last night when we were all in bed there was a torrential downpour and thunder, however spirits are still very high! Breakfast today consisted of bacon, hash browns and spaghetti hoops, and was lovely! Today was the first day full of activities. 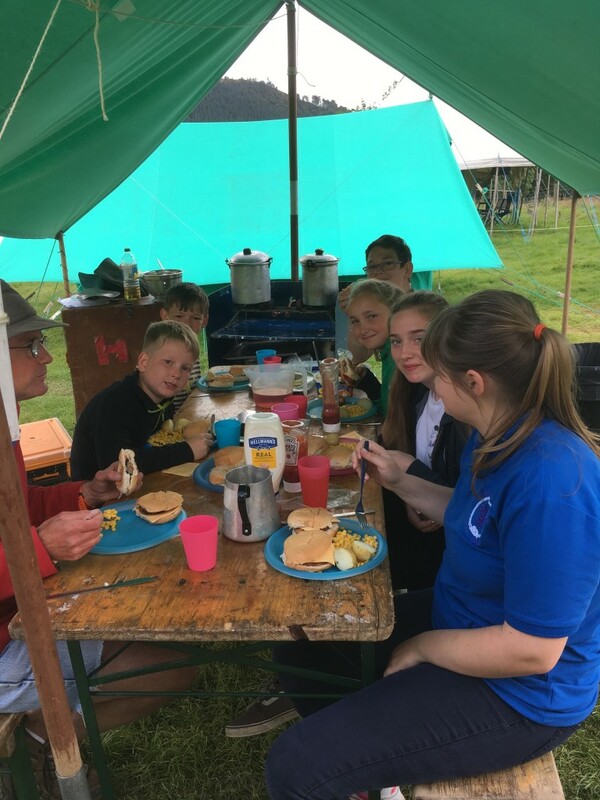 We split into three groups of older, middle and younger for ease, although we will all do the same activities over the week. 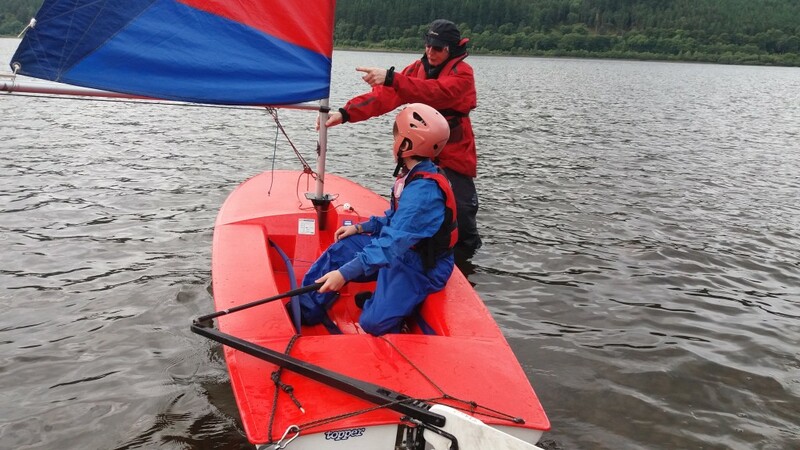 This morning we did Crazy Golf, Mountain Biking and sailing, and this afternoon we are Geo-caching, Crazy golf and sailing. 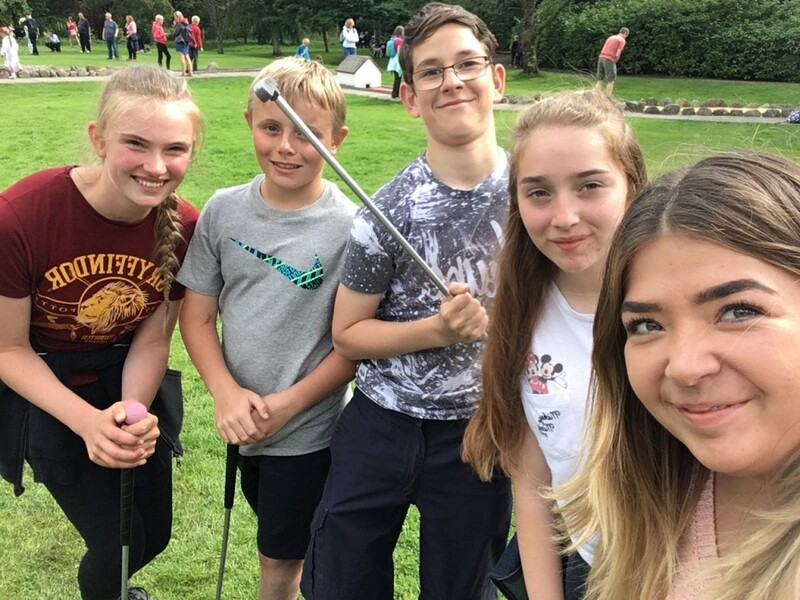 Crazy golf was competitive to say the least! Keira and Ruth managed (somehow!) many ‘hole in ones’ – some by complete accident! I think this was also spurred on with the promise of a smartie for every hole in one! 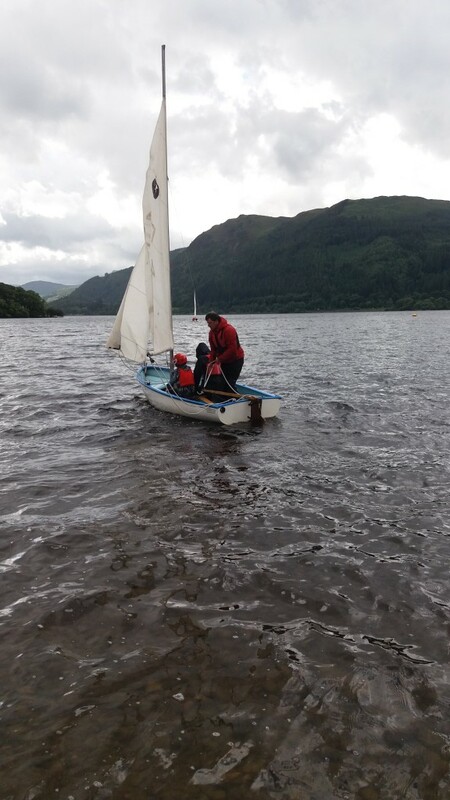 The younger ones were caught up in some crazy wind this morning sailing, however all had a great time! Kept warm by a constant supply of hot chocolate (Noticing a theme here?!) all were in wonderful spirits. As I write this all the children are out on their afternoon activities. It is drying up here, fingers crossed it stays! Curry, rice and poppadoms for tea, followed by rice pudding and jam. We love hearing your messages, thanks for all of those who have posted so far! Curry was eaten by all! It was delicious! (Kira had tomato pasta though!) 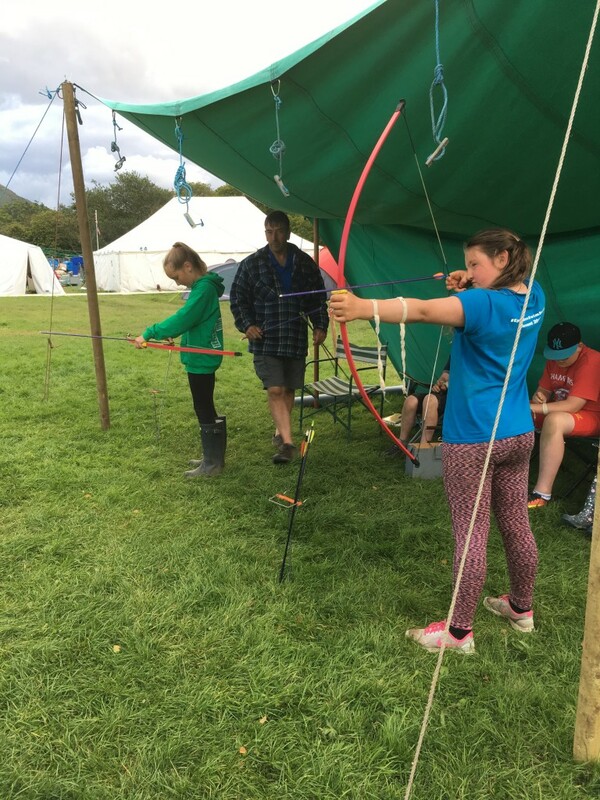 Evening activities of shooting and archery, before a volleyball competition, a campfire and bed! No arms have been chopped off! A few legs but thats about it. We provide a multitude of services on camp, I’m sure hair cutting can be one of them? We could take a picture with a filter on Sineads snapchat?! 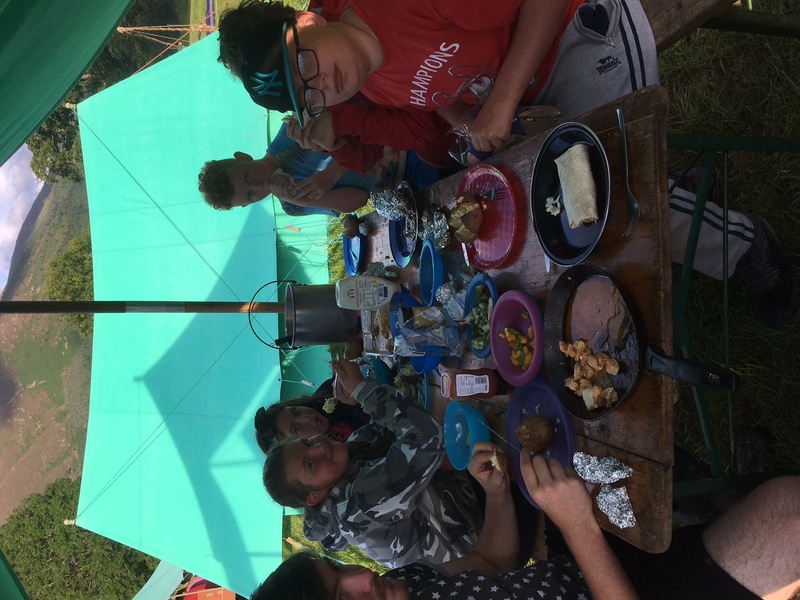 Whilst singing a campfire song – we seem to know enough as per usual! Another crazy busy day here on camp. Kicked off with a breakfast of Spam, eggie bread, potato smiles and beans. 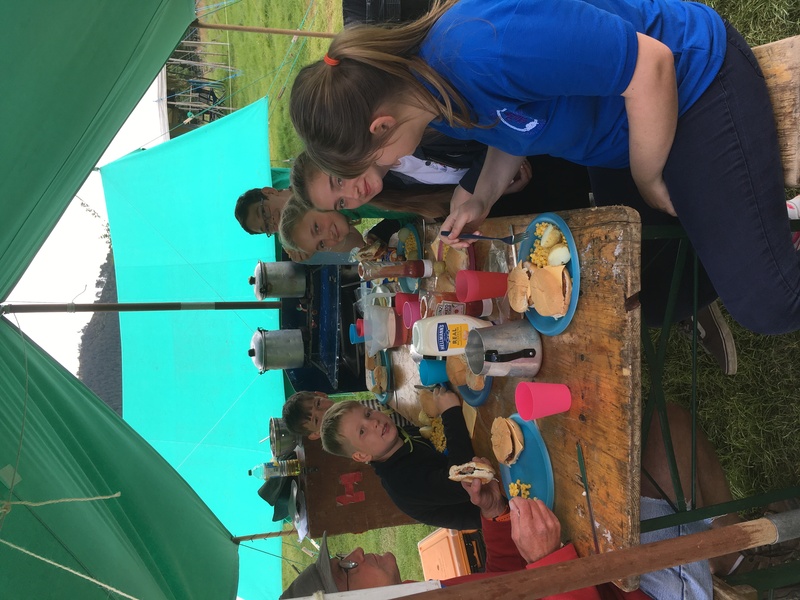 After washing and drying up, as well as a kit and kitchen inspection (everyday we check the cleanliness of the patrol areas as well as personal kit to make sure we all still have enough warm clothes, and award points for the best patrol). 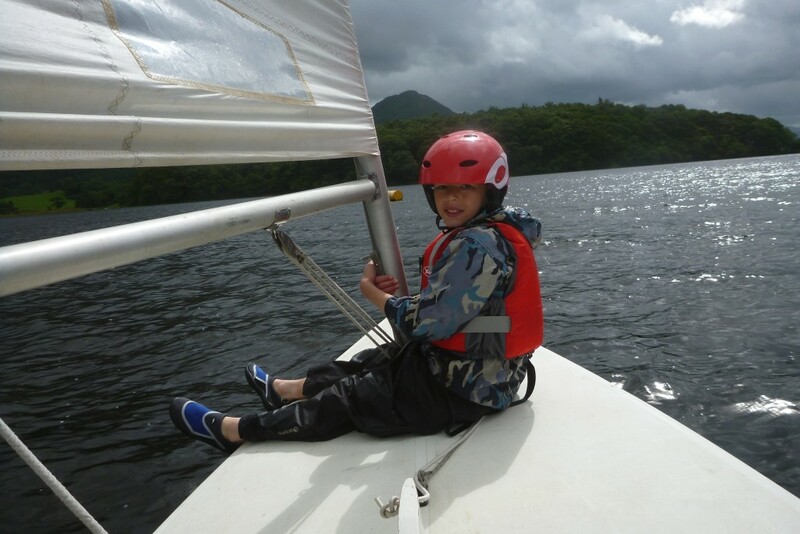 Todays activities consisted of biking, crazy golf, sailing, orienteering, pioneering, geo-caching, archery and shooting. Topped off by a tea of left over burgers and potatos from Sunday, along side a fresh fruit salad and angel delight. The weather has been kind to us today, after a really wet night and swimming in the puddles this morning, the rest of the day has been dry and dare I say it, but at times – sunny! Due to the laptop being left in Kirkham charging, tonight’s post will have to be a short one. Today we have all been out on Patrol Hikes and despite the terrible weather everybody remained in very high spirits. 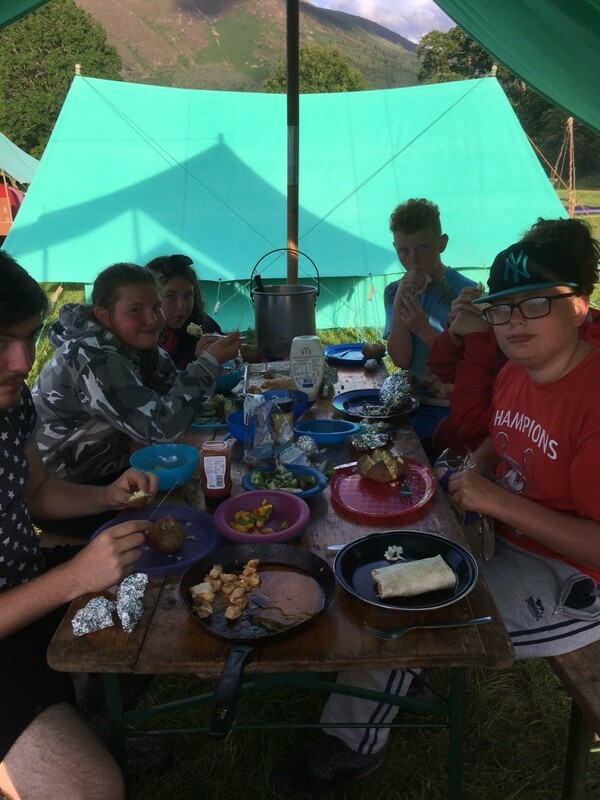 Tonight we got home and cooked our tea on open fires and camp ovens – fajitas and jacket potatoes. 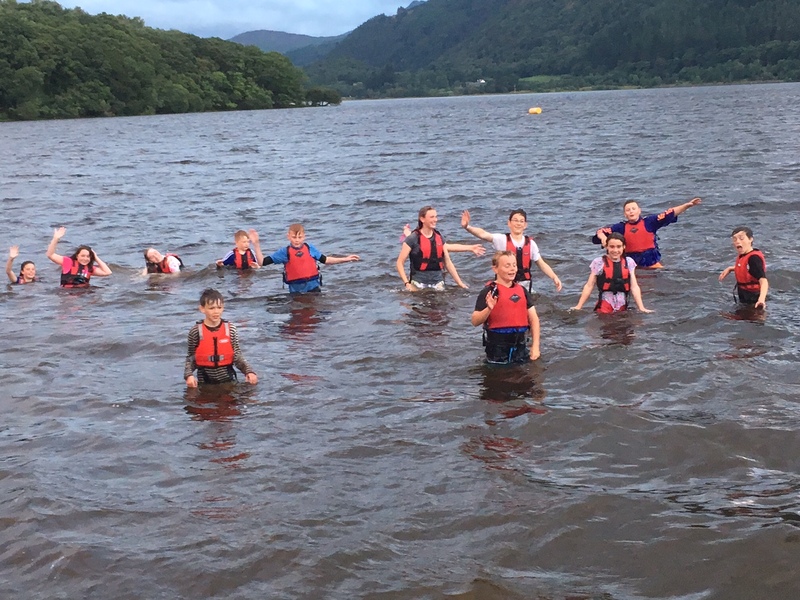 After this we all had a mass wash in the lake and smell much better. Hopefully the laptop situation will be rectified tomorrow but please rest assured we are still receiving your comments and reading them out. Today we had a lie in until 8 o’clock – lucky us. 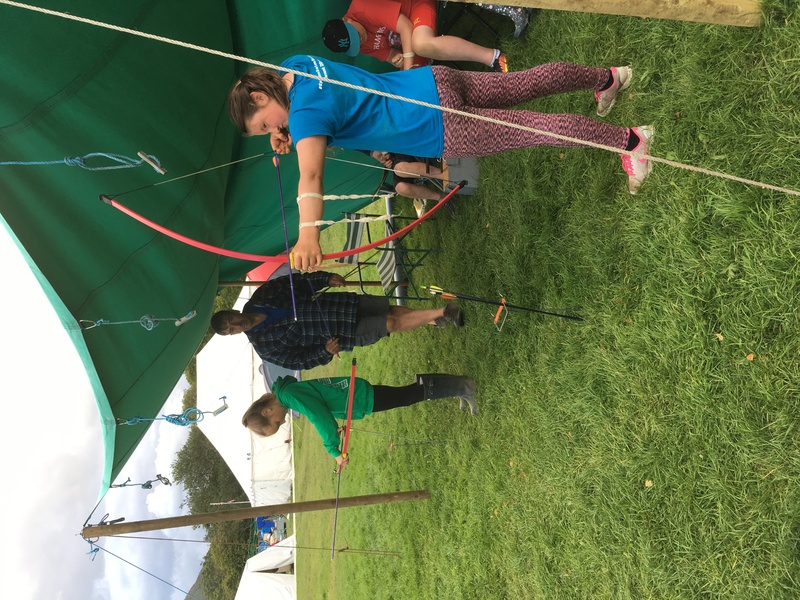 Due to torrential down pours the programme had to change slightly with some groups doing pioneering, some doing geocaching and some doing archery this morning. 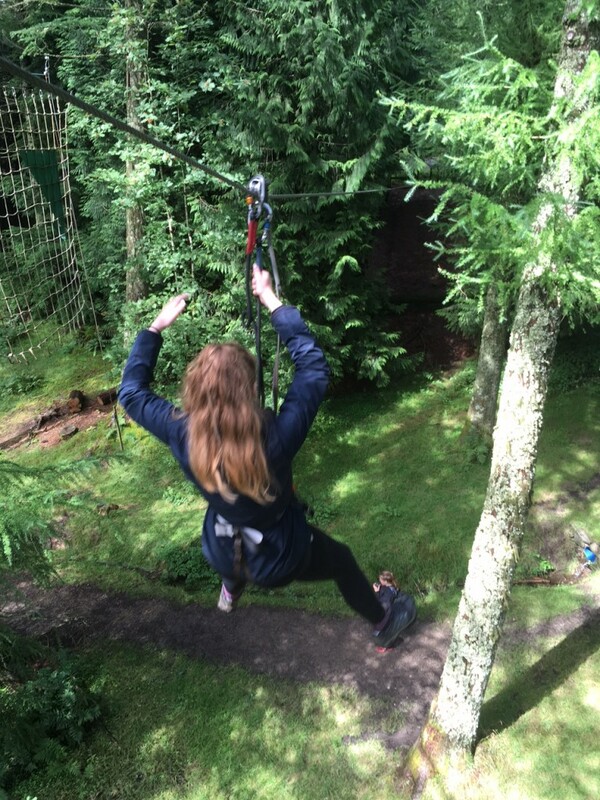 This afternoon we all went in to Whinlatter, the oldest group to do Go Ape. 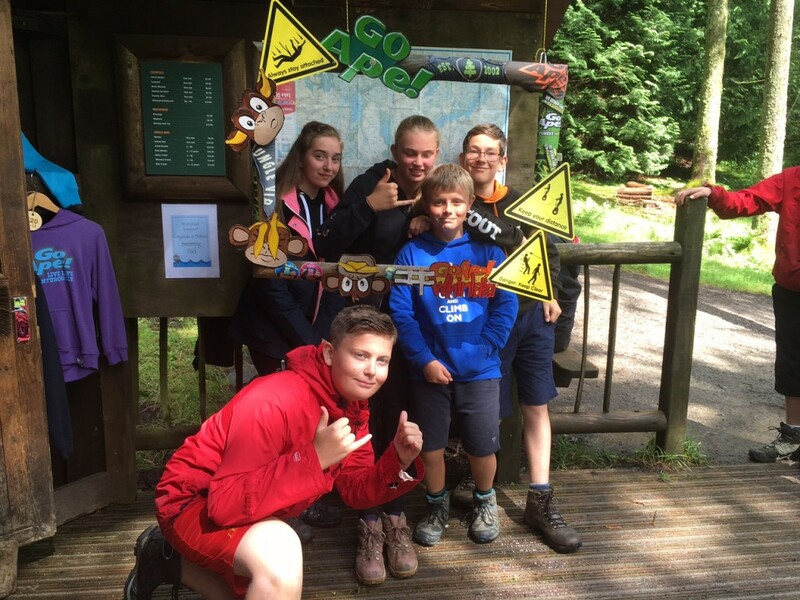 middle group to do some orienteering and the youngest group to do some biking. The sun very nearly came out for us and some of us even managed an ice cream. 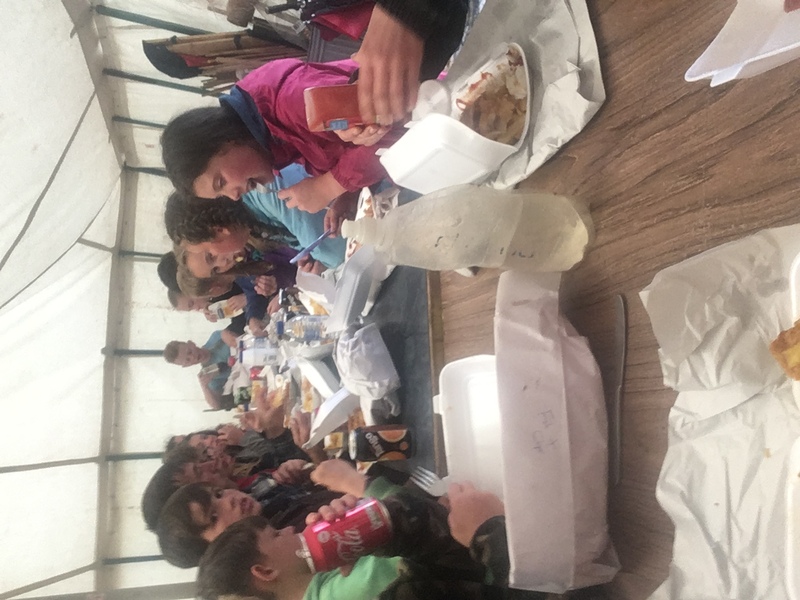 This evening was our banquet tea of a chippy, followed by pie and ice cream. 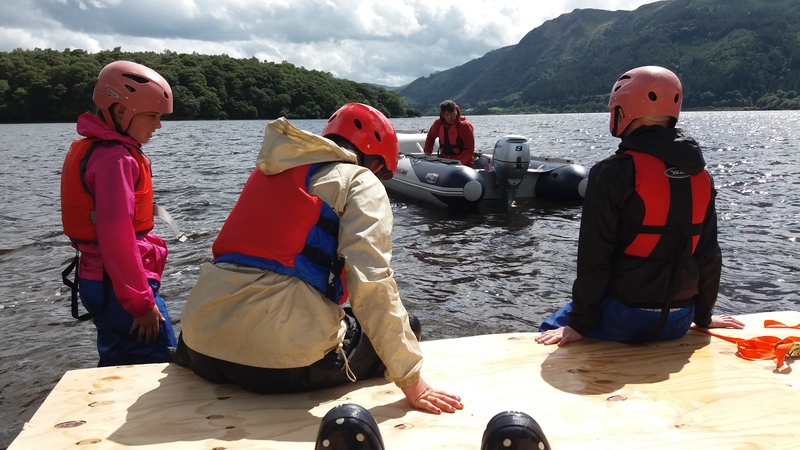 To top off a wonderful day we have all just been for one last jump off the raft. Unfortunately tonight we start taking down camp before another busy day tomorrow. We are loving your comments, I think the kisses challenge is currently in the hands of the Cottle sisters (for now). All of the kit on Camp is extremely wet and we are really going to struggle to put it away on Saturday. If any parents, brothers, sisters, aunties or uncles could meet us at the Scout Centre at 12 noon on Saturday it would be greatly appreciated. Thank you. Today we had another lie in until 8 o’clock before having to pack up ready to go home. 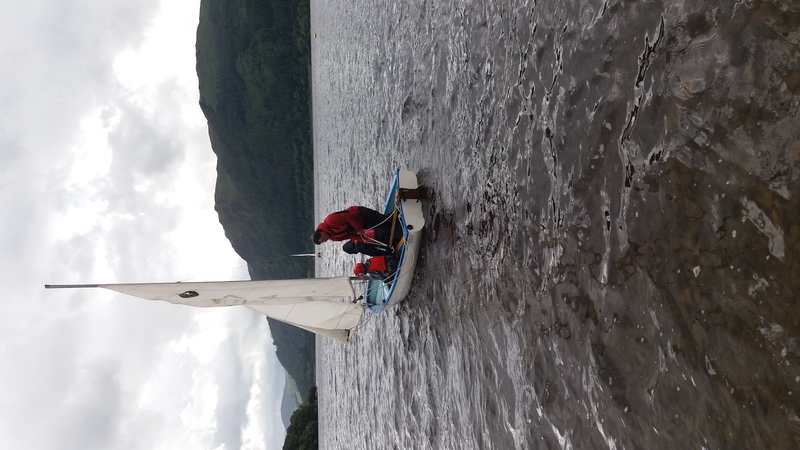 The weather has been kind to us today and we have managed to get the majority of the kit down dry which is much better than we expected yesterday. 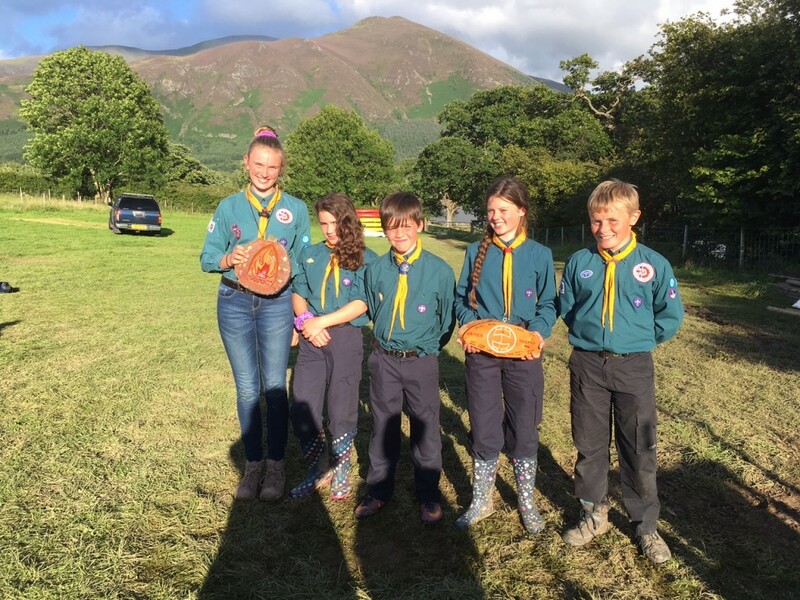 This afternoon we had our final afternoon in Keswick having a nosey around all the shops, concluding in the presentation of all the Camp trophies. A massive well done to Hawk who won the games trophy and the overall Camp trophy. This was a very close call as all patrols have done extremely well especially considering that the weather has been against us. 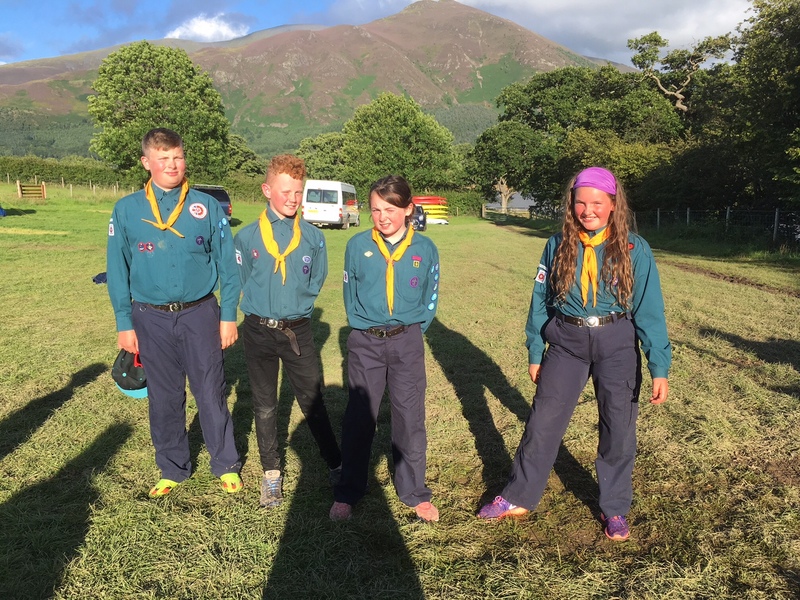 The Leaders and Patrol Leaders had a hard task last night trying to pick Scouts that have gone above and beyond this week. 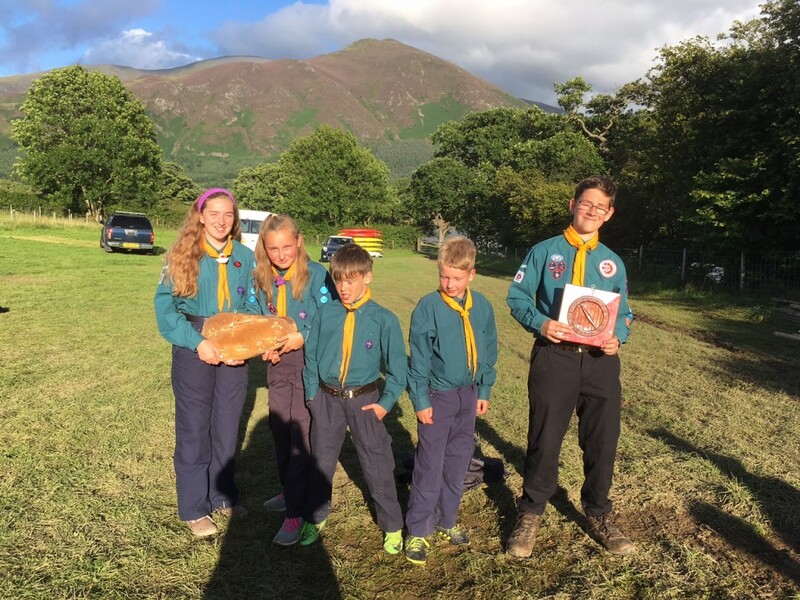 we decided that we could not possible choose as there are multiple Scouts who could have gained this award. We did however decide to give a special award to a young lady who has kept Camp moral high and brought all members of the group together. Whether it be through her constant singing of the Moose Song or by her enthusiasm for the most boring Scouting activities (knots). A massive well done and thank you Kira. This evening we will have our final Camp fire and a good sing-a-long. 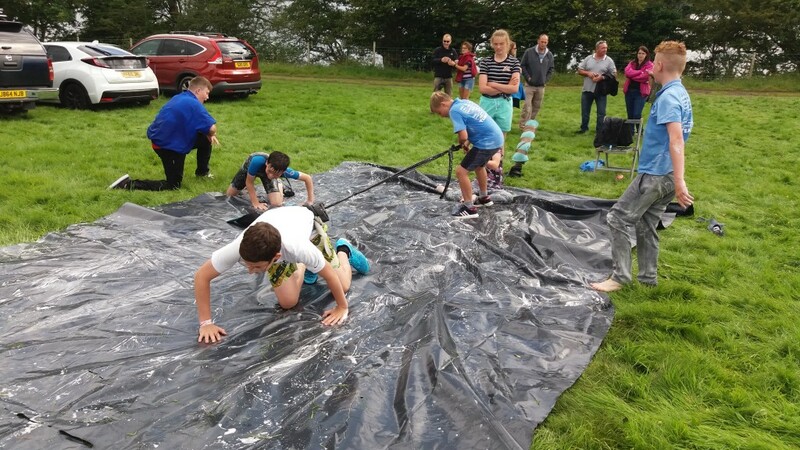 We hope you have got your washing machines at the ready for our smelly and wet kit tomorrow lunch time. 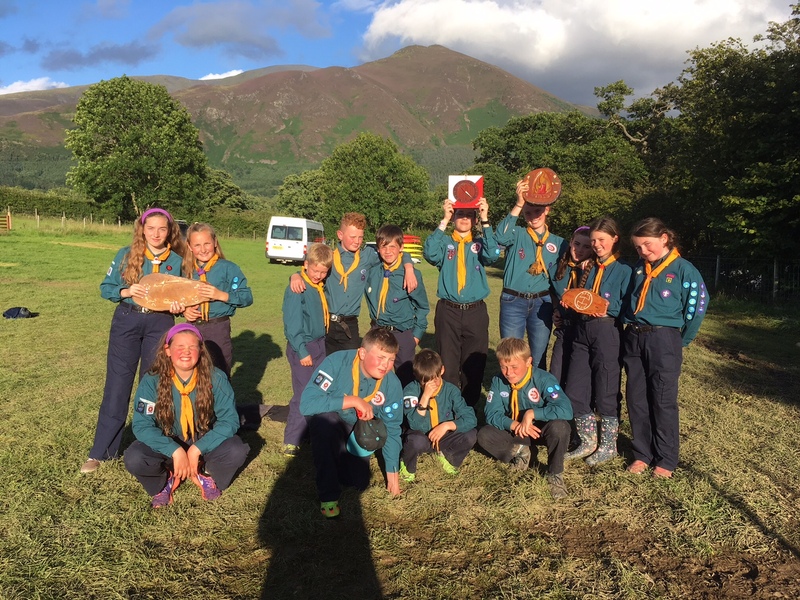 Any embarrassing stories about our scouts? Any soppy messages with lots of kisses? Leave them here! We had a great afternoon watching all the fun. Thanks for the lovely BBQ. Tom – I’ll have finished re-decorating your room by Tuesday, ready to start letting it out on Wednesday! Loved seeing you all today since 20/12/2016, it feels I back in scouts ???? I really will be back in scouts on Friday with Carl and Gaz! 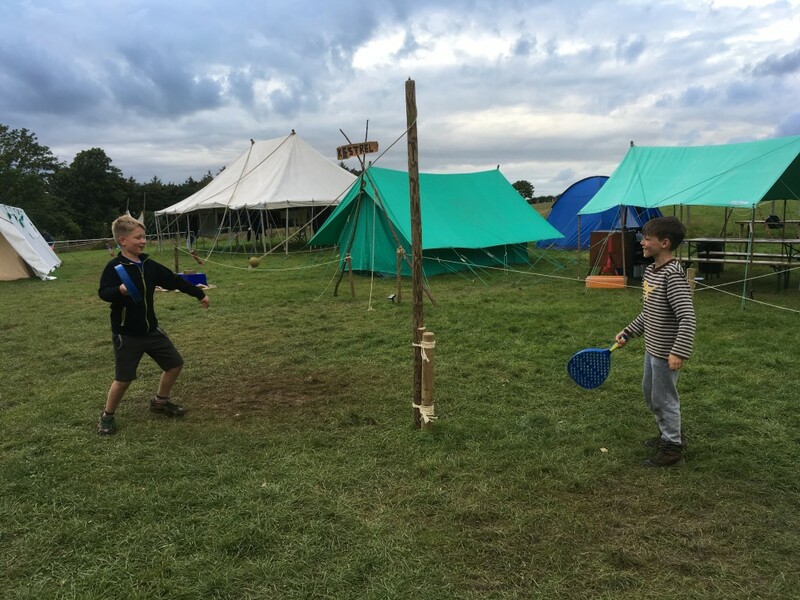 Thanks for a brilliant day on Sunday, it was lovely to see Jacob settled at his first Scout Camp. James was sorry he couldn’t come up. Have a fantastic week everyone. Thank you for yet again another great family day. Kenyon loved bing in the lake and can’t wait to join you next year. She is wishing the time away. I have to say I am very jealous of the beautiful area you are spending the week at, treasure every moment making memories that will last you a life time. Sinead I can’t get your snapchat off my phone so Kenyon and I might have some fun with it!! ???????? All the pictures look fantastic. 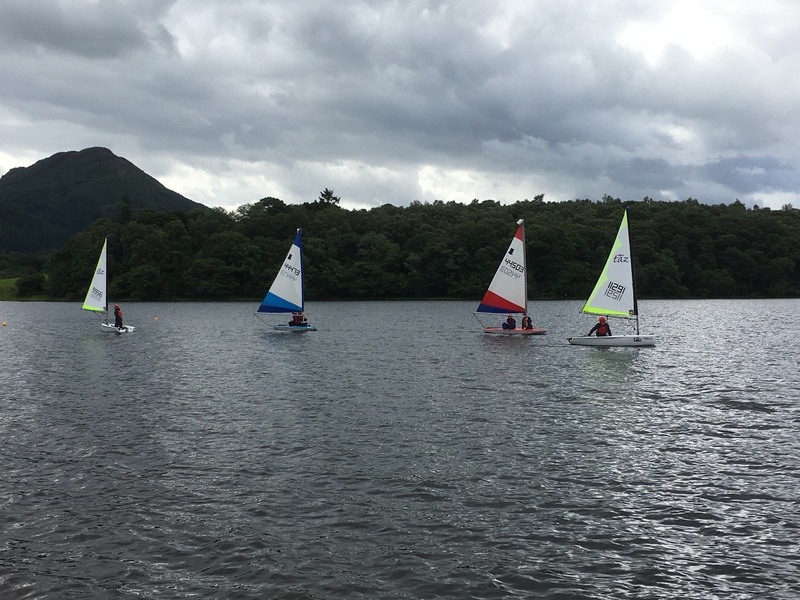 Hope you are having a fantastic time (despite the lovely lakes weather)! 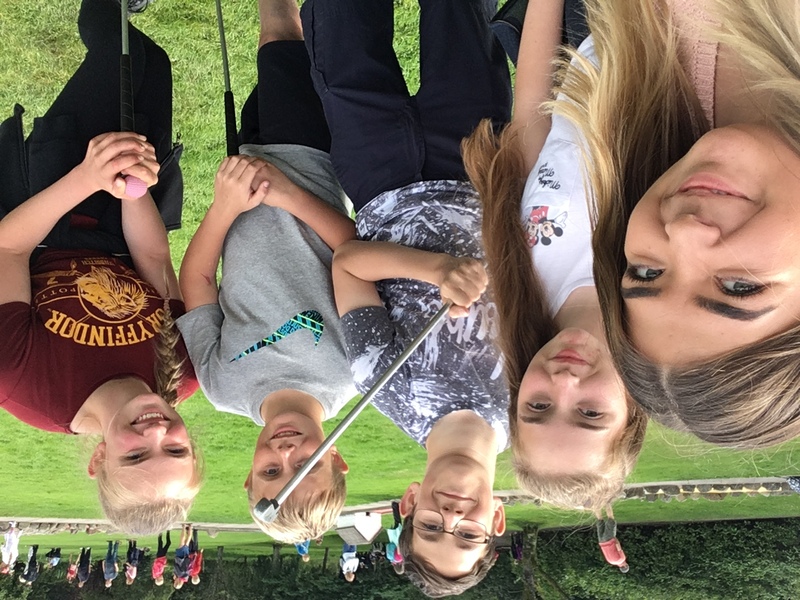 Shame on you for not letting the younger ones win the crazy golf! Enjoyed coming up yesterday to see your amazing camp site, the location is stunning. 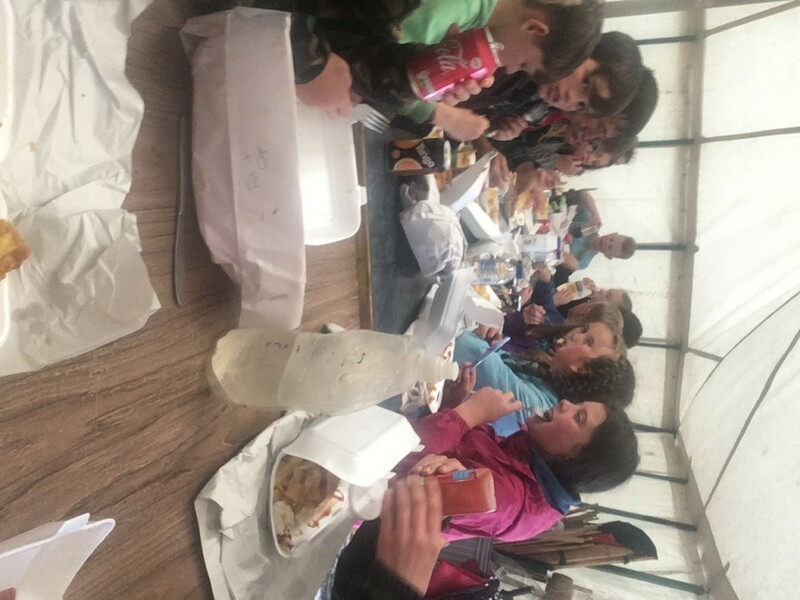 We had a great day and enjoyed all the activities and the food was yummy, thanks to you all. i noticed today that your little lizard has had another baby so I am taking extra special care, its so tiny.. Sending you lots of hugs and kisses missing you both lots its so quiet here, Hope you have lots of fun and a great week xxxxx. It sounds like you’re all having an amazing time. Christopher, we are all missing you, it’s very quiet without you. Me and Rhys have cleaned the pit you call a bedroom. See if you can keep it clean when you get home. Looking forward to hearing what you all get up to tomorrow. 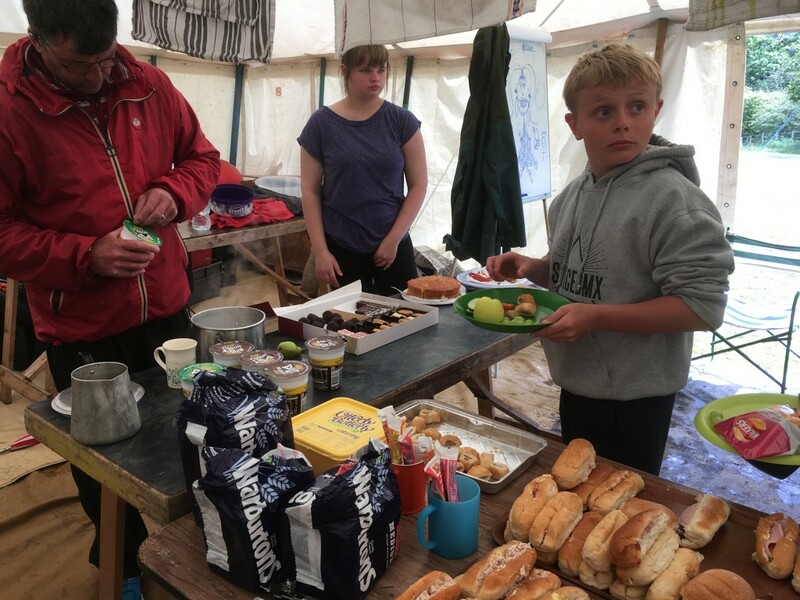 Had a great time on my brief visit to camp at the weekend, thanks to you all. 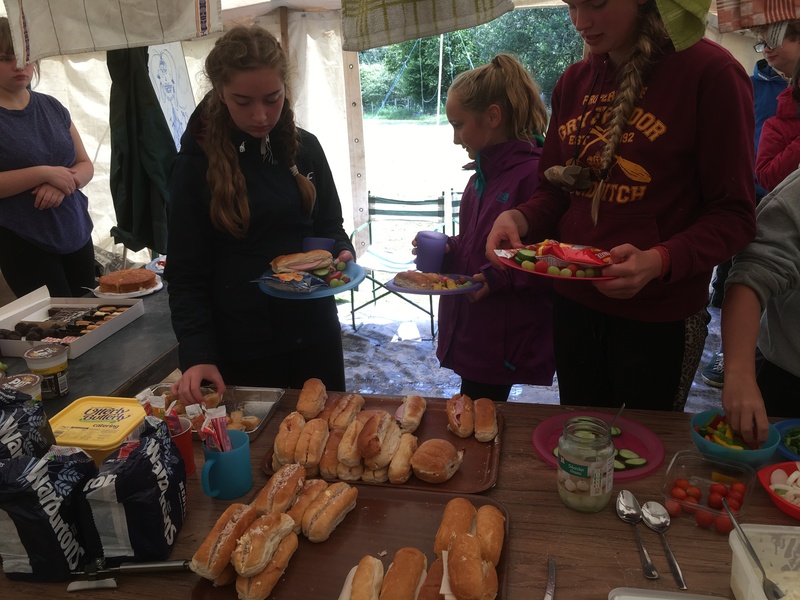 Well done to everyone for a fantastic camp – what a team!! ????. Special well done to Benedict. Looks as if you’re having a great time and I’m impessed with the healthy lunch! Tim survived Arran but came back soaked! Have fun and see you soon. We look forward to all your stories and the gossip! Tell the boy to brush his hair with your brush before you leave, as his is here. He also seems to have left his water bottle at home – does he actually have any kit?! Hi Girls, we are going to see Olly Murs!! Hope you are having fun. Miss you. XXXXXXXXXXXXXXXXXXXXXXXXXXXXXXXXXXXXXXXXXXXXXXXXXXXXXXXXXXXXXXXXXXXXXXXXXXXXXXXXXXXXXXXXXXXXXXXXXXXXXXXXXXXXXXXXXXXXXXXXXXXXXXXXXXXXXXXXXXXXXXXXXXXXXXXXXXXXXXXXXXXXXXXXXXXXXXXXXXXXXXXXXXXXXXXXXXXXXXXXXXXXXXXXXXXXXXXXXXXXXXXXXXXXXXXXXXXXXXXXXXXXXXXXXXXXXXXXXXXXXXXXXXXXXXXXXXXXXXXXXXXXXXXXXXXXXXXXXXXXXXXXXXXXXXXXXXXXXXXXXXXXXXXXXXXXXXXXXXXXXXXXXXXXXXXXXXXXXXXXXXXXXXXXXXXXXXXXXXXXXXXXXXXXXXXXXXXXXXXXXXXXXXXXXXXXXXXXXXXXXXXXXXXXXXXXXXXXXXXXXXXXXXXXXXXXXXXXXXXXXXXXXXXXXXXXXXXXXXXXXXXXXXXXXXXXXXXXXXXXXXXXXXXXXXXXXXXXXXXXXXXXXXXXXXXXXXXXXXXXXXXXXXXXXXXXXXXXXXXXXXXXXXXXXXXXXXXXXXXXXXXXXXXXXXXXXXXXXXXXXXXXXXXXXXXXXXXXXXXXXXXXXXXXXXXXXXXXXXXXXXXXXXXXXXXXXXXXXXXXXXXXXXXXXXXXXXXXXXXXXXXXXXXXXXXXXXXXXXXXXXXXXXXXXXXXXXXXXXXXXXXXXXXXXXXXXXXXXXXXXXXXXXXXXXXXX go to go Dad is in a hurry!!!!!!! I hope you are enjoying yoursef and behaving!! We didn’t bother going to Listen to Olly Murs last night I decided to paint instead you could hear him at home anyway. Kenyon has got Ted all to herself today so I am sure she is glad you are away today! Apparently we are having a mummy day tomorrow where Kenyon intends to bake so my day will consist of cleaning up her mess! I am going to start on your bedroom tonight I dread to think what i will find to the untrained eye it looks tidy but I know better!!! Kenyon slept in there on Sunday and said not again becuse it smells of you! Looking forward to seeing you on Saturday I will have a nice hot bath ready for you and your ipad will be charged so you can catch up on all that you tube rubbish you watch. Love you lots like jelly tots to the moon and back more than yesterday. 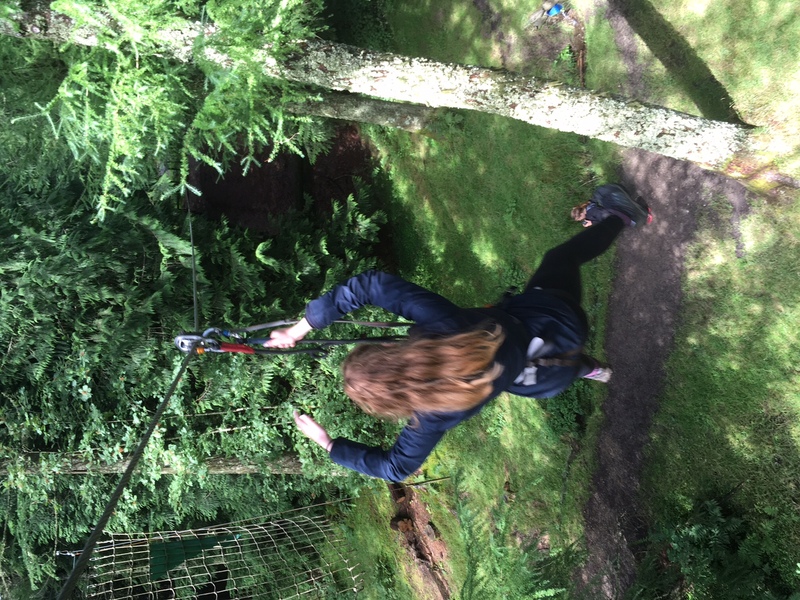 Hope you enjoyed Go Ape. Nice to see you in the water – one way to get you washed! This has to be done. Sorry, but here goes! ???????????????????????????????????????????????????????? I’m such an embarrassing mother!! ???? Camp looks brilliant, lots of happy faces, exciting activities and lots of food to enjoy. Not to mention all the things to chuckle about when they get home! 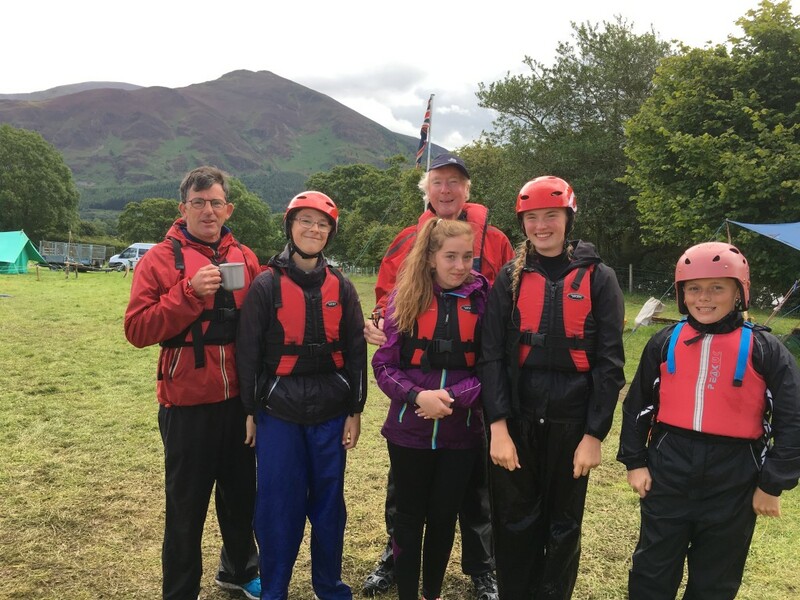 Hi Rebecca, looks like despite the weather you are all having a fantastic time. Missing you and can’t wait to see you on Saturday morning. Nice hot bath and cocoa waiting for you plus a big waggy tail from Dexter who is still keeping your chair warm. LOVE FROM YOUR SISTER ANNA BEAR !!!!!!!!!!!!!!!!!!!!!! 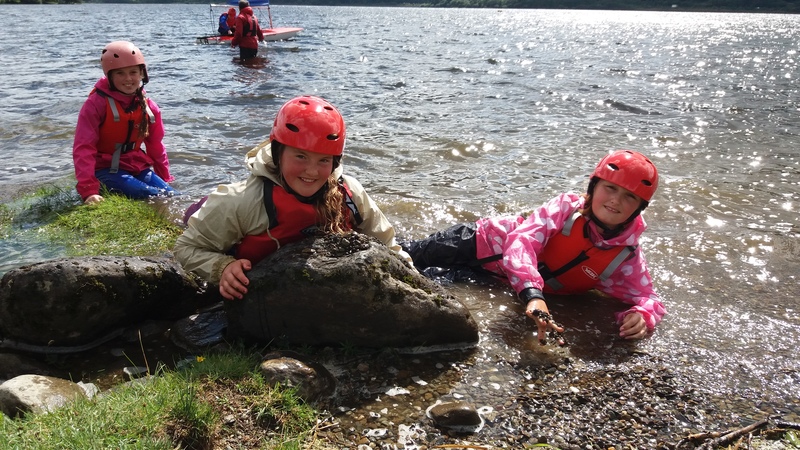 Hope you’re still having a great time and the weather has sorted itself out! It’s been nice and sunny in Wesham, so don’t worry about me! Just wanted to say thanks to all the leaders that make camps like this possible and enjoyable! And a big thanks to all you scouts for making my time with you as fun as it was and looks like it still is! Same again next time? Really wish I was still on camp, hope the rain stops enough for a last campfire this evening. It is very peaceful here without The Child and The Boy, I’m thinking of hiding the sopranino before you get back :p Gran and Grandad came yesterday- Gran brought my dress and Grandad dug the patio up. Many congratulations on such a successful summer camp! 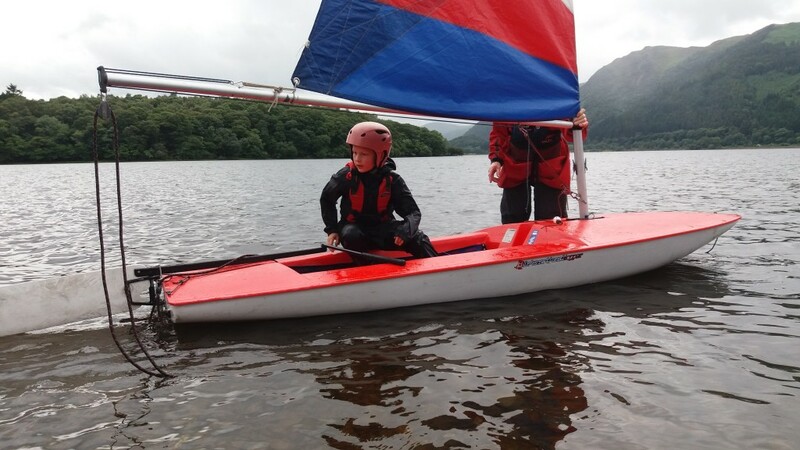 The excellent photos of all your different activities show that you didn’t let the rain stop you from achieving so much and having a great time with lots of fun too! 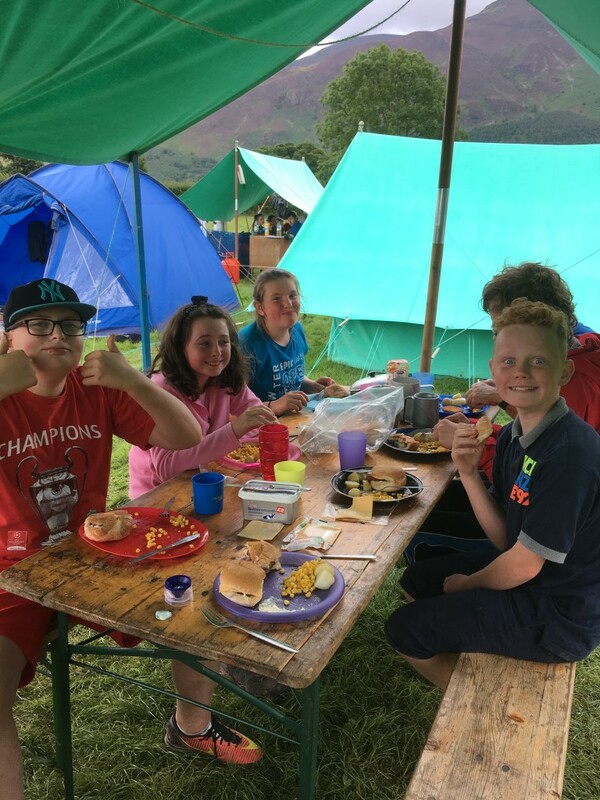 Have a great last evening and a safe journey home tomorrow. Thanks so much for a great last summer camp, I had such a great time and I’m gonna really miss it next year. Don’t worry though, I will send kira lots of kisses next year!! Thank you to all the leaders for a great last summer camp. I really enjoyed it.